Senator Jesse Hamilton services the 20th District in Brooklyn (Brownsville, Crown Heights, East Flatbush, Gowanus, Park Slope, Prospect Heights, Prospect Lefferts Gardens, South Slope, and Sunset Park.) and in January 2016 I was invited to the Albany Press Conference which launched his Mental Health First Aid Bill. This Bill will provide teachers in the Department of Education with a training on how to deal with youth who are experiencing their first mental health break. 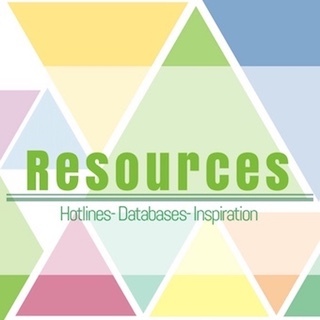 Currently teachers are not trained on how to work with youth with special needs, and they are not taught how to identify the signs of a youth who may have special needs or may just need a little extra boost of encouragement and support. This training will be added to the curriculum for individuals who are currently in the process to becoming teachers while it will be a Continuing Education Credit for people who are currently employed as teachers. This bill hit home for me. I remember being in the 5th grade when I had my first mental health break and I would have sworn that my teacher, Christopher Farrell, took this training. He was so supportive toward my challenges. He was a white male, yet he had a cultural understanding as to what was going on around me. He would let me see the school counselor, take breaks out of class, and he would let me write my heart away on class writing assignments. When kids were writing 2-3 pages I was writing 5-7 pages. 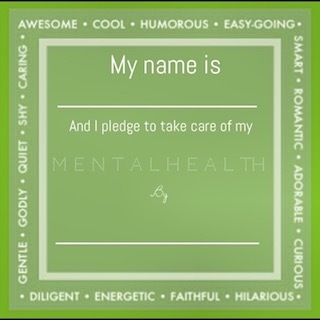 As an adult now, I think that was extremely ridiculous, yet because of that, I discovered my first coping skill. The level of appreciation I have for this man and his understanding of what I was going through, helped save my life at such a young age. The time & patience he had with me was irreversible. The year after that I had a 6 grade teacher who just knew I was emotionally disturbed and couldn’t wait to get me out of his class. Throughout the school year he was not encouraging to me not one bit. Needless to say, If it weren’t for my 5th grade teacher Mr.Farrell who was able to identify the signs of my challenges I don’t think I would be this far in life today. He is the reason why I believe in this powerful new bill! 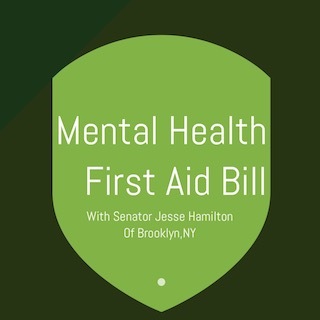 Please join me as I provide support to Senator Jesse Hamilton and his new Mental Health First Aid Bill. Reach out to your senators and make them aware of this extremely important bill and help them understand why our communities need this ! Oh yeah, I forgot to mention, I got the opportunity to speak at the press conference as well!